Bob Atwood needed to attract potential clientele from the web as well as his site to be a resource that clients could access when seeing his URL on print. 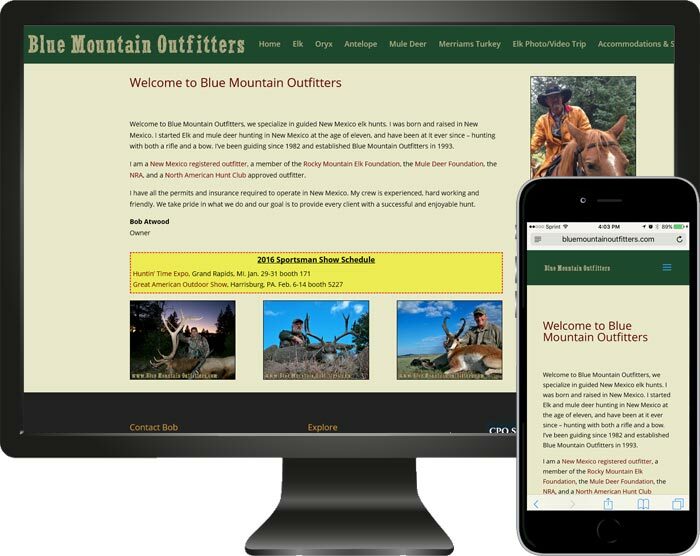 We created a site that explained his services, types of hunts, a photo gallery and a contact area so prospective clients could contact him. Bob,s new site was built on a CMS platform and the site is also phone and tablet friendly!